Never run out of hot water again. as long as you need it. Rely on DK Heating & Sons for premier heating services from installation and repair to maintenance, service and beyond. Don’t let the heat get you down, DK Heating & Sons is your most trusted resource for your Air Conditioning needs. The most polluted air is not found outside, but in our very own homes. Breathe easier with DK Heating & Sons at your service. Control every aspect of your indoor comfort from temperature to humidity and beyond with our full selection of thermostat and zoning controls. DK Heating & Sons, based in Perry, OH has been proudly family-owned and operated for 59 years. We provide our customers with the highest level of care while ensuring their heating and cooling systems are performing perfectly at all times. We serve both residential and commercial customers throughout Lake, Geauga, and Ashtabula counties. Our highly qualified contractors take on HVAC installation, HVAC system maintenance, and HVAC repairs both big and small. We understand the importance of keeping your family comfortable year-round, and we ensure that with quality craftsmanship, reliable service, and affordable pricing. Our customer’s care and comfort is always our top priority, which is why we offer 24-hour a day service, free estimates, and affordable financing. Why Choose DK Heating & Sons? 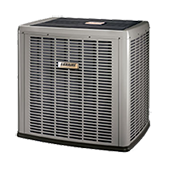 Welcome DK Heating & Sons, Lake county’s leader in heating and air conditioning service, repair and installation since 1956. As a locally owned and operated business, we service residential and commercial customers as their single source for all their indoor comfort needs. Below are just a few of the reasons why you should consider DK Heating & Sons for your next heating or cooling project. DK Heating & Sons has been a family owned and operated business for over 59 years. We are fully licensed, bonded and insured for your protection and peace of mind. Our technicians have passed a rigorous set of exams to ensure their proficiency in the field. We are committed to the utmost in integrity and quality service done right the first time, every time. 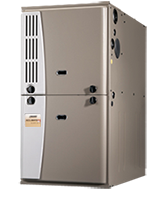 We offer a full line of heating, cooling and indoor air quality products from top name brands. Trust our team of experts for round-the-clock comfort restoration on any brand of equipment.